Although limousine companies have been around a long time, some people still have misconceptions about services. In reality, limousine companies have become a critical part of the transportation industry. Limousine Services are the Same—The first misconception about limousine services is that they are all the same. In truth, there are big differences between services, companies, and fleets. For example, most people envision a stretch limo when hearing the word “limousine,” but these companies actually have a wide range of vehicles, including sedans, buses, mini-coaches, and more. Only Ground Transportation—Some people think that limousine services consist of ground transportation only. While this is true for most companies, there are some that offer air transportation as well. Only for the Rich and Famous—One of the biggest misconceptions is that limo services are only for high-profile people or those of wealth. But because limo services are affordable, virtually anyone can utilize them. Large Blocks of Booked Time—Another misconception is that you have to book a limo for a minimum of four hours. In truth, many limo companies charge only for the time used. Therefore, if you are picked up at the airport and dropped off at the hotel for a total of 1.5 hours, you are billed for 1.5 hours. Limo Companies Are Shady—This stereotype came from the Mafia era, when limos were commonly used. Today’s limo companies are owned and operated by honest and hard-working professionals who take the service seriously. Drivers Have Little Training—To work as a chauffeur, an individual has a special license as a result of completing extensive training and education. In fact, today’s chauffeurs are mandated to continue education for the comfort and safety of passengers. Special Events Only—Although people commonly hire limousine services for big events like weddings and proms, this mode of ground transportation can be enjoyed for any reason. No Customization—While some people still believe that limo services cannot be customized, this is far from true. Reputable companies go out of their way to ensure that you have everything you need and more. Limos are Unsafe—Compared to rental cars, buses, and public transportation, limousine services are extremely safe. Remember, chauffeurs complete initial training and are required to continue training, making them some of the safest drivers on the road. 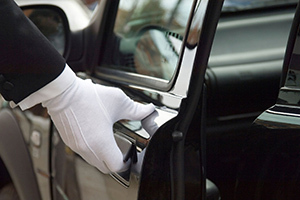 Without question, limousine services are the best method of ground transportation available. With them, you enjoy a convenient, comfortable, safe, and cost-effective service.